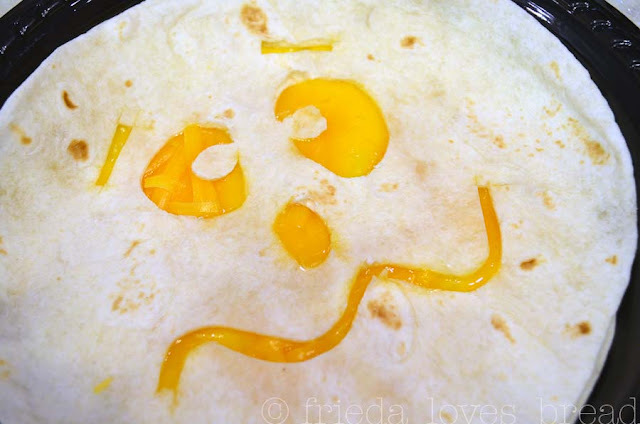 Frieda Loves Bread: Halloween Cheese A Dillas! 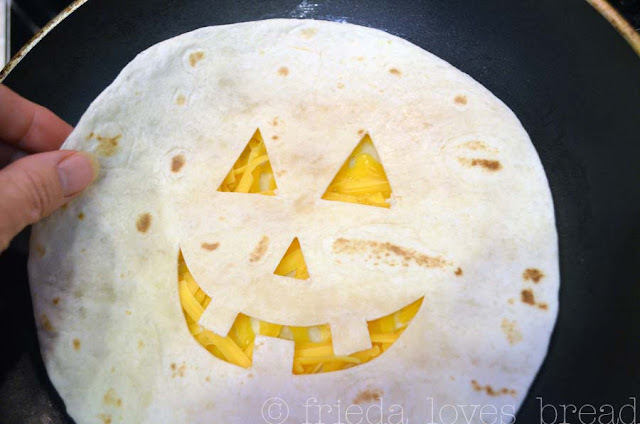 6 Halloween Cheese A Dillas! I had my cute nieces over and was wondering what I could fix them for dinner. I wanted to make something easy and fun for them. 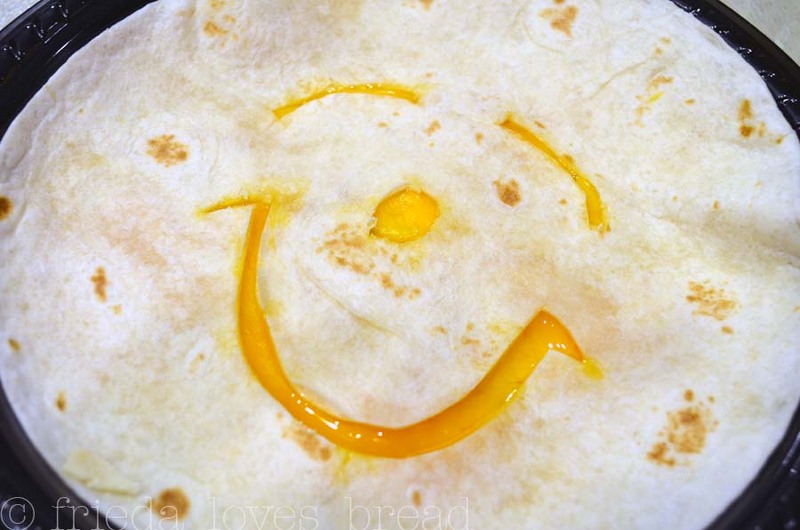 Begin with a flour tortilla. 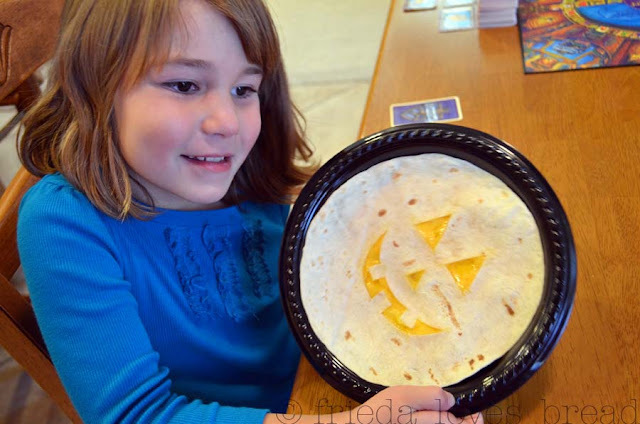 Using a sharp knife, cut out the face or pattern that you want. 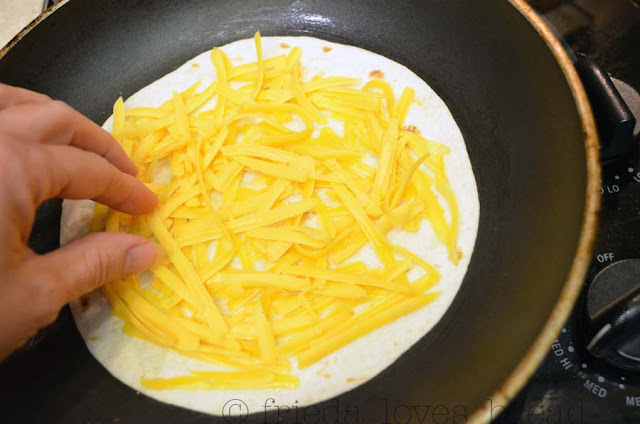 Using a non-stick skillet, lay a second tortilla down and place a handful of cheese in the middle. 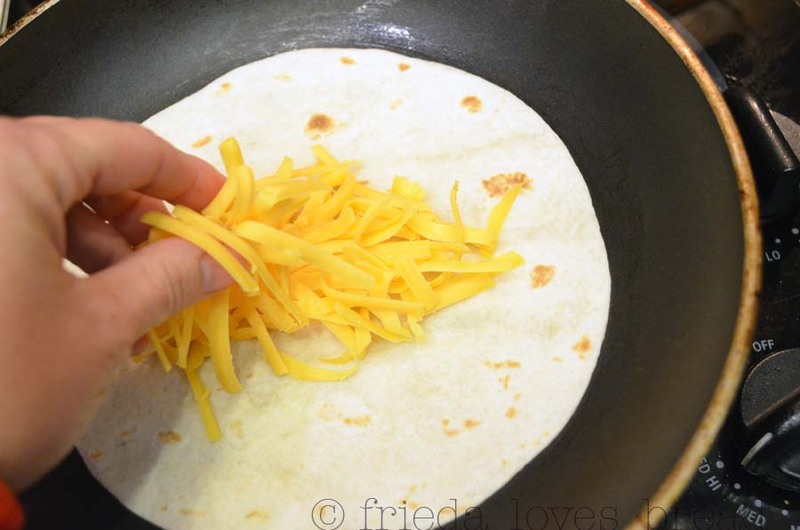 Spread the cheese in a single layer, being careful not to spill cheese onto the skillet. 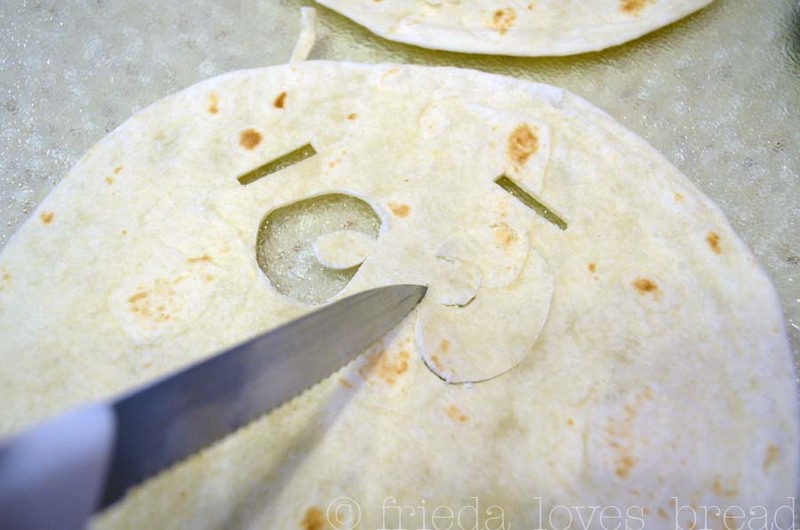 Top it immediately with your cutout tortilla. 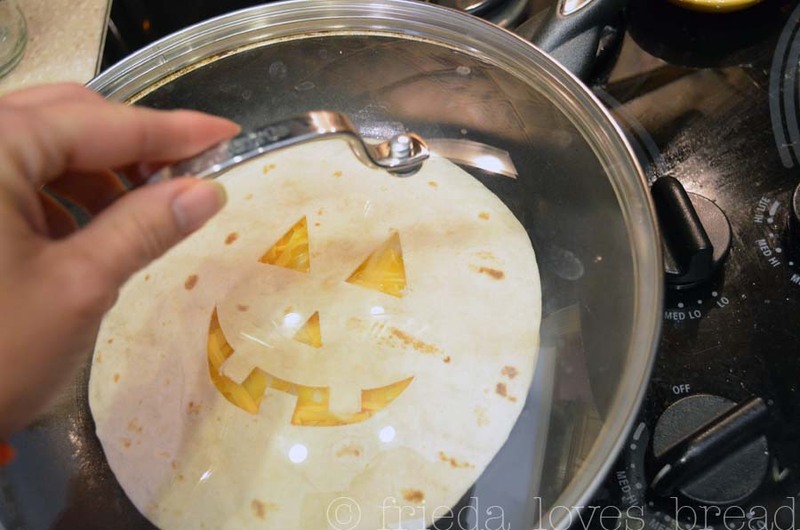 I didn't want to flip over the tortilla to cook the other side, so I put a lid on it. This "steamed" the entire tortilla and cooked the cheese evenly. Those are so cute! I bet they loved them! you are the best aunt ever!!! this is too cute. what a great idea. so using this. Cute, cute idea! I may have to do that with the kids at school...wondering about cutting faces out with knives though. It's too cute not to consider. What a sweet auntie you are!